situation. By remaining flexible and observant, we can determine which strategy may be most effective. Often, if one strategy doesn’t work, another will. 5. Demonstrate the correct way to do something. This usually involves a procedure that needs to be done in a certain way (such as using a wire whisk or writing the letter P). 6. Create or add challenge so that a task goes a bit beyond what the children can already do. For example, you lay out a collection of chips, count them together and then ask a small group of children to tell you how many are left after they see you removing some of the chips. The children count the remaining chips to help come up with the answer. To add a challenge, you could hide the chips after you remove some, and the children will have to use a strategy other than counting the remaining chips to come up with the answer. To reduce challenge, you could simplify the task by guiding the children to touch each chip once as they count the remaining chips. Every child is unique and learns in a unique way. Therefore, give lots of choices wherever possible in regards to methods of learning. 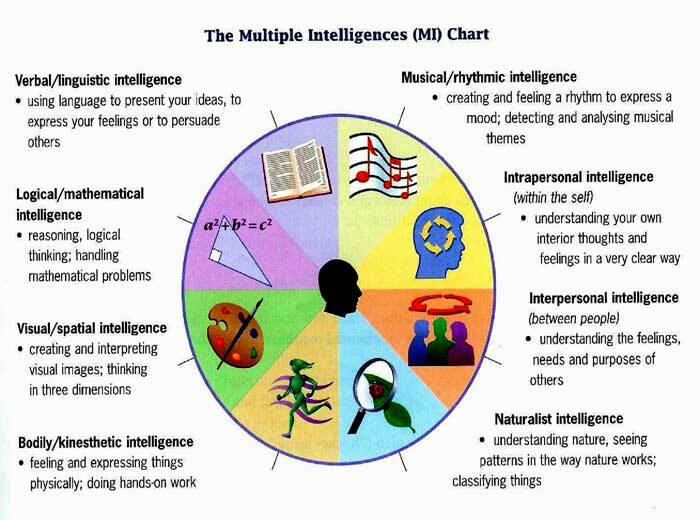 Howard Garner's ideas on multiple intelligences are a superb spring board into differentiating instruction for varying students. Each students has their own strengths and weaknesses in the learning process. It is our job, as teachers, to offer each of our students a pathway to successful learning.